 Surviving healthcare reform: Setting a strategic direction - ONRAD, Inc.
DiagnosticImaging.com | October 25 – Healthcare reform is game changer but nobody can yet fully articulate the impact of the new rules. How do you plan for the future when there are so many unknowns? This is the second article in a series that examines how healthcare reform is likely to affect radiology practices and how they can prepare for drastic changes to come. To plan for life under healthcare reform, it is important to look also at other changes looming in the near future, especially since so many of us have a tendency to procrastinate when a deadline is several years away. As mentioned in the first article in this series, (Surviving healthcare reform: Get lean, learn the insurance game), it is time to get our radiology house in order with the goal of developing a lean and flexible business entity with the capacity to adjust to major financial changes. There is still more we don’t know than we do know about the demands of healthcare reform, but the relationship of several expectations to existing programs provides some hints.